About Dr. Katzinger - Darnyl R. Katzinger, Psy.D. Dr. Darnyl Katzinger is a licensed clinical psychologist in the state of Georgia specializing in the assessment and treatment of children and adolescents with internalizing and externalizing emotional disorders as related to both chronic and acute medical illnesses as well as those associated with various familial, social, and school-related issues. Dr. Katzinger specializes in pediatric psychology treating children and adolescents who are experiencing psychological difficulty associated with an acute or chronic illness or injury. Common referrals include adjustment difficulty to a new medical diagnosis, depression, anxiety regarding upcoming medical procedures, medical trauma, and adherence concerns. In addition, Dr. Katzinger specializes in working with children in foster care or those who have been adopted. Dr. Katzinger works with children and families in the areas of social skills training, anger management, and behavior modification. She is experienced in the assessment and treatment of depression and anxiety, ADHD, developmental delays, autism spectrum disorders, trauma and sexual abuse, and child-parent relationship issues. 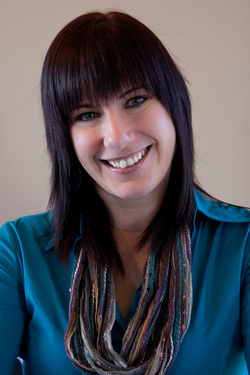 Dr. Katzinger utilizes two main theories in her work with individuals. These include both cognitive behavioral theory and systems theory. Cognitive behavioral therapy (CBT), which is based on cognitive behavioral theory, is a short-term structured approach that involves collaboration between the individual with the problem and the therapist to achieve certain goals. CBT is an evidence-based approach which aims to resolve current problems rather than drawing upon assumptions relating to the past. CBT focuses on working in collaboration with the client to identify thoughts, feelings, and behaviors that may be contributing to their problems. Individuals are encouraged to explore different ways of thinking and to consider alternative interpretations of their beliefs. When clients have developed these skills they can learn new behaviors and problem-solving strategies with which to reinterpret their thoughts, feelings, and behaviors in more rational ways. For a more detailed description of CBT, please visit the National Association of Cognitive-Behavioral Therapists Website at nacbt.org/whatiscbt.htm. Systems theory, on the other hand, suggests that an individual cannot be understood in isolation from other individuals, but must be understood and treated as one of a system of interconnected and interdependent individuals, including the family, school, and larger community. With that in mind, Dr. Katzinger strives to work with caregivers, teachers, and other important people in an individual's life for a comprehensive treatment approach. Depending on the age of the child, play and art may be incorporated into therapy to facilitate the treatment process. Dr. Katzinger believes empathy, support, and encouragement are essential to supporting the growth and development of both the child and family. Dr. Katzinger received her bachelor's degree in criminal justice and psychology from Michigan State University and her doctorate in clinical psychology from The Chicago School of Professional Psychology. She completed an APA accredited internship at Children's Hospital of Michigan specializing in pediatric psychology, which included working with children and adolescents with comorbid medical and behavioral health concerns. She completed her fellowship at Positive Outcomes Psychological Services in Athens, Georgia. In addition to private practice, Dr. Katzinger is currently employed at Pediatric Endocrine Associates, P.C. (PEA). Her duties at PEA include working closely with other medical disciplines to facilitate patient adjustment to new diagnosis of various endocrinology disorders, including diabetes, and assisting children and adolescents with pain management, treatment compliance, and associated internalizing problems.